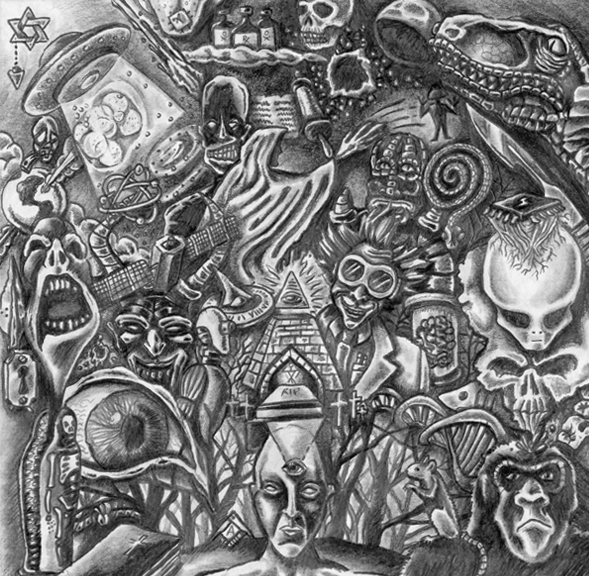 This is a CD cover that I illustrated and designed for a hip hop group called ‘Apophis’. 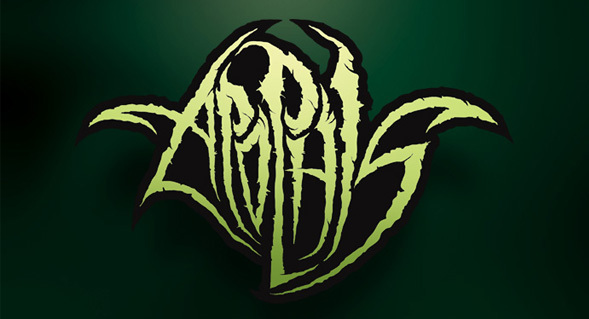 The ‘Apophis’ logo was hand rendered, scanned and recreated in illustrator. The album is called ‘The Theory of De-Evolution’. 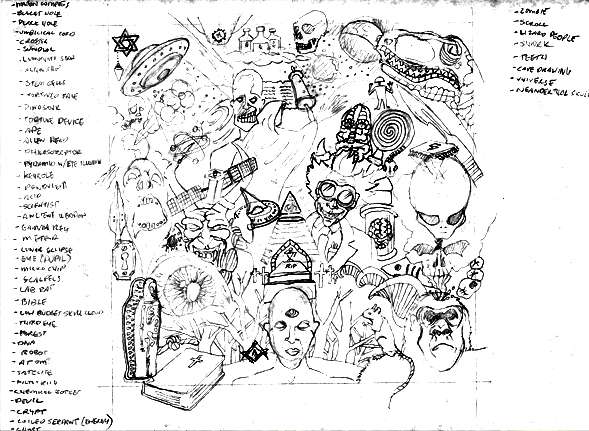 The idea behind the artwork was taking key lyrics from the album and creating visuals. All together there are 51 separate illustrations in the cover. Playing off the idea of ‘Area 51’. The album is a concept about everything from the beginning of time till the end. CD Spine – Custom designed font. The ‘O’s in the name are meant to symbolize a clock counting down to extinction. Thanks, I needed that today. Much appreciated!